Toilet paper holder includes a chrome plated protective cover. Designed for easy installation. Towel ring can hold up to 6lbs. Constructed with lead-free brass, ensuring strength and durability. Quality control approved in Canada and re-inspected prior to shipping your order. Sleek, modern design to match any home decor. Premium chrome plating to suit any home decor. Mounting hardware included. Solid bulky brass feel. Concealed screw installation for a clean look. The Glacier Bay 8000 SeriesTowel Ring in Chrome has a stylish design that will complement a wide variety of bathroom dicor. Combining elegance with durability, the built-to-last zinc construction has an attractive chrome finish for a bright, fresh look. Easy to install with the included hardware and plastic anchors, pair with other pieces from the 8000 Series Collection for a complete, polished look. Limited Lifetime Warranty. 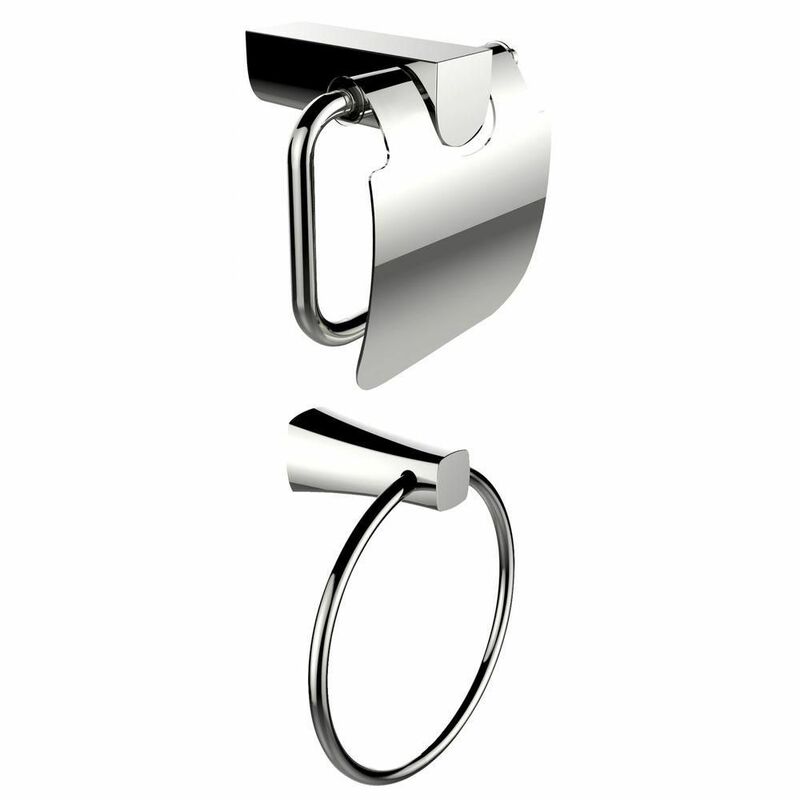 Chrome Plated Towel Ring With Toilet Paper Holder Accessory Set Complete your bathroom with this matching accessory set. This set includes a chrome towel ring and toilet paper holder. Constructed with lead-free brass, this set is finished with a beautiful premium chrome plating.